The basement is looking to challenge the issues surrounding homelessness by empowering people to make positive changes to their own lives. They recognise that becoming homeless does not happen in isolation to other life experiences which might include; health matters, break down of relationships, mental illness, addiction or financial issues. They work closely with our clients through a range of different support services to tackle the underlying issues that can lead to a cycle of homelessness. 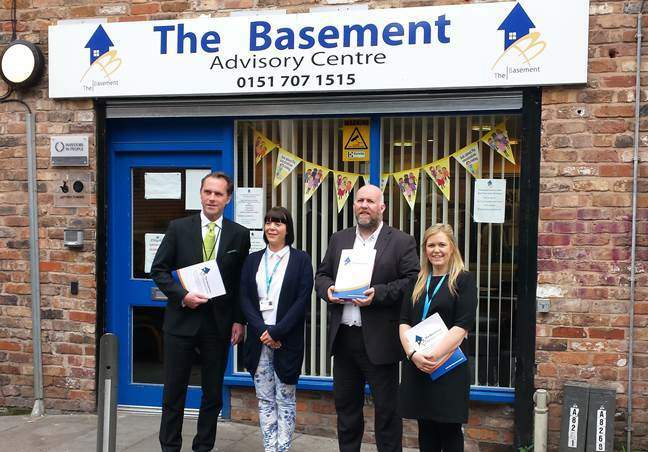 Recognising that the desire to change needs to come from within the individual themselves – and the key to maximising success in this area is the staff and volunteers at the Basement who themselves have similar life experiences to our existing clients.